Women dream of many things in their lifetime. One of the major ones is to become a mom. Of course, this does not necessarily apply to all women. There can be no doubt that becoming a mother is possibly the most significant thing to ever happen in a woman's life. As such, many women do a lot of planning and preparation to finally adopt this new role, but not always. Sometimes pregnancy can happen unexpectedly and by genuine accident. Unfortunately, this can and does occur when a woman is still very young. In fact, some women even become mothers when they have not technically reached adulthood. Being such a young mother can be a real challenge for some women, especially if there is a lack of support system. However, many manage to succeed in life despite the challenge of raising a child while still just a teen. Not only do they succeed, some even go on to become famous celebrities. This actually occurs more often than some people might think, and it might surprise them to find out who had kids while they were still underage or reaching adulthood themselves. Here are at least 15 celebrities that became mothers while they were still too young for motherhood. 15 Jamie Lynn Spears - A Bad Example? As far as the world of pop music is concerned, few stars are as popular as Britney Spears. Maybe a little less well known is Britney's little sister Jamie Lynn. But, if they are a big fan of Britney, they will know about all about Britney’s family. Also, at one time Jamie Lynn was on the beloved kids' network Nickelodeon. However, her biggest claim to fame might very well be her pregnancy. Why is that? It is because she got pregnant at the young age of 16. The young Spears was all over magazines and tabloids once news about her pregnancy got out. It is not hard to understand why that is. Not only was she a beloved child star in her own right, she was also the sister of one of the most famous pop stars ever and she was going to have a baby before she could even vote! Also many considered her to be setting a very bad example to all her and Brittney's young fans. Britney Spears may be a famous pop star, but Aretha Franklin is downright legendary. She is often referred to as the Queen of Soul and was recognized early on as a musical prodigy. She has been one of the greatest voices in music for five decades. What many might not know, however, is that she actually became a mom at a very young age. She gave birth to her first child at the age of 14. Traveling with her preacher father, she was witness to many adult behaviors, having lost her mother at age 10. She then had her second child at the age of 16. All this was before she became widely famous, but not by much. Aretha Franklin would go on to release her first single at the age of 18. 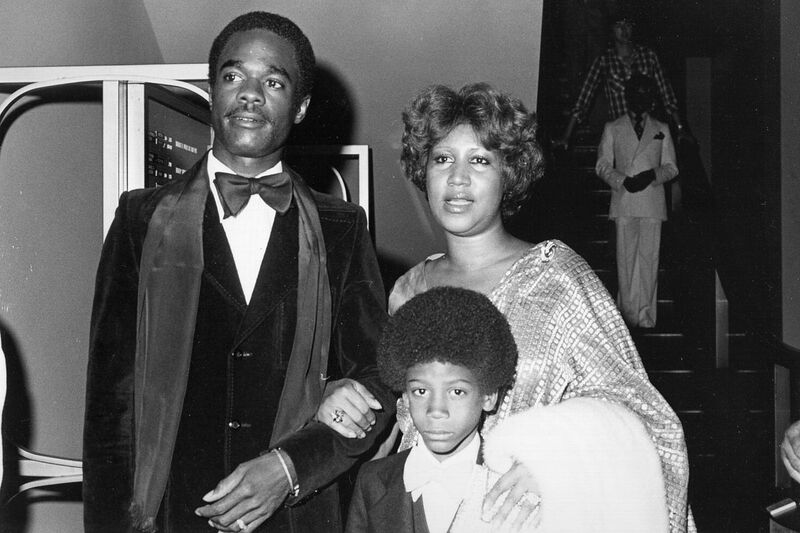 Aretha’s grandmother would watch her young grandchildren while Aretha worked hard to make it in the music business. Maya Angelou, civil rights activist and poet also became a mom at a very young age. However, she did not give birth quite as young as Franklin. 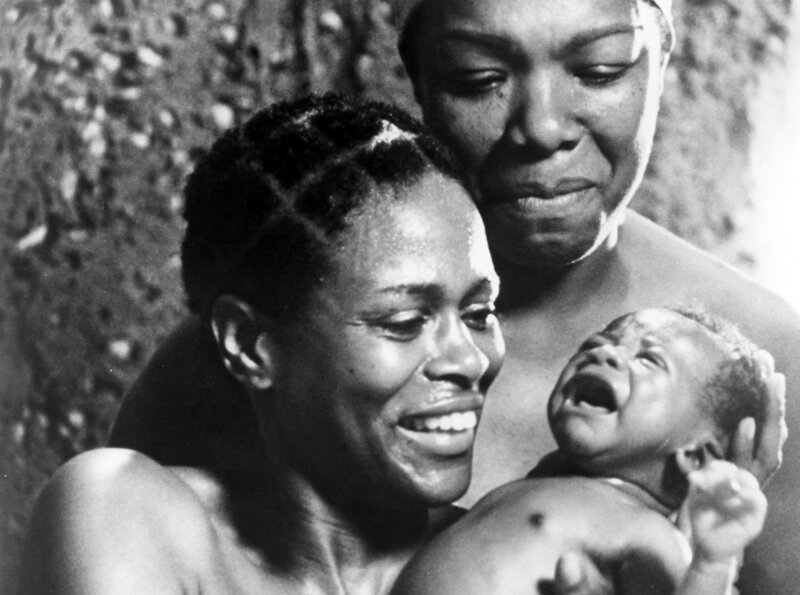 Angelou gave birth at the age of 17 to a son right after graduating from high school. She worked at many jobs to help support herself and her son. What many may not know is that Maya first became well known as a singer and dancer. She also acted in the theater as well. Later in her life, a close friend suggested she concentrate on her writing and that is what most know her best for. Having had a son at such a young age, she persevered and became known as a civil rights activist with the likes of Martin Luther King, Jr. and recited one of her works at Bill Clinton’s inauguration. Born Marguerite Annie Johnson, she got the nickname Maya from her older brother. A great many might not immediately recognize the name Keisha Castle-Hughes. She did have a pretty significant moment in the spotlight nevertheless. She became the youngest person to ever be nominated best actress for an Oscar (at the time) in the largely forgotten film Whale Rider. She later went on to star as Mary in The Nativity Story about the most famous pregnancy and birth of all time, that of Jesus. Ironically, around the time, Hughes was playing the Virgin Mary, she became pregnant. She gave birth just one month shy of her 17th birthday. She and her baby daddy managed to stay together for 7 years until they split up in 2010. She has starred in several movies, some really only known in her native Australia. She played a minor role in one of the Star Wars movies and also in the popular The Walking Dead. Most recently, she has appeared in the popular HBO series Game of Thrones. When it comes to television, few women are regarded as having the impact that Roseanne Barr has. She starred in an iconic show, appropriately called Roseanne, in the 80s and 90s. Like many sitcom legends, she got her start as a stand-up comic. Before any of that, became a mother at a very young age. Roseanne gave birth when she was a mere 17-years old in 1970. The year before, she was hit by a car and suffered brain damage that caused a severe personality change. She was institutionalized and during that time was when she became pregnant. Unlike all the other women mentioned thus far, she actually chose not to keep her child. She gave it up for adoption, but they were reunited years later. Roseanne would go on to have four other children between two ex-husbands. Currently, a revival of the show Roseanne is in the works, which means the world could be seeing more of Roseanne in the future. Maybe best known as Beyonce’s younger sister, Solange Knowles became pregnant at very young age. Solange got married in 2004 at the age of 17 when she unexpectedly became pregnant. She gave birth to a son later that year. Solange and her husband got divorced a few years later in 2007. Nevertheless, she considers her son to be the greatest unplanned blessing in her life. Solange may not be nearly as famous as her sister, but she is a singer, songwriter, model and actress in her own right. Many compare the sisters, but they have different goals and styles. She has written songs for her sister and ex-partners of the group Destiny’s Child. She has had a number one album on the charts and won a Grammy for the best R&B single, “Cranes in the Sky.” She and her sister Beyonce’ were the first sisters to ever have a number one album in the same year. Country legend Loretta Lynn also got married and had children at a very young age. Specifically, she was married at the tender age of 15 and her husband, Oliver “Doolittle” Lynn, was only 21 at the time. Though they married young, they remained together until his death in 1996 (48 years). The young couple did not waste any time procreating. By the time Lynn was 19 she already had 3 children. After giving birth so young it is no surprise that she became a grandparent at a very young age as well. She had her first grandkid at the age of 34. She eventually would have 27 grandkids. Her youngest grandchild was actually born this year. As for Loretta Lynn, she has become one of the most cherished country singers in the world. So it appears all those kids did not exactly hold her back from making country music history. 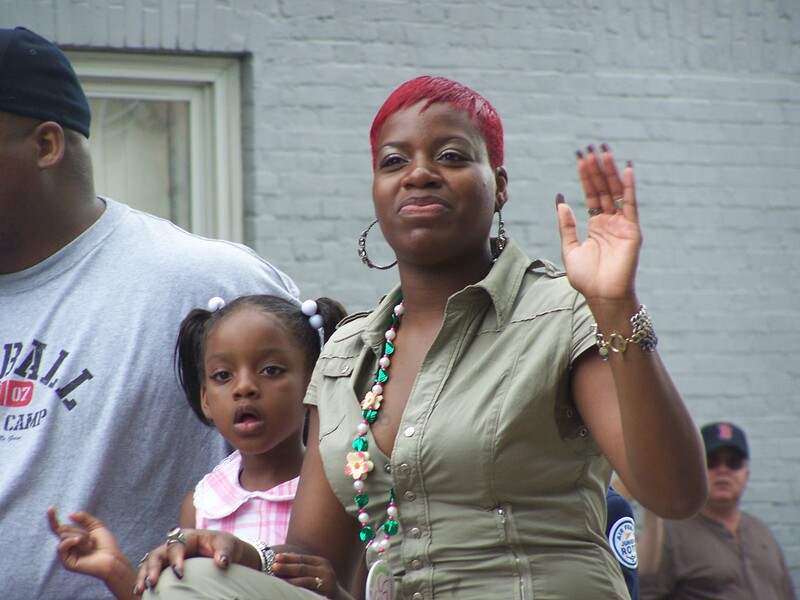 Fantasia is an R&B singer, actress, and songwriter. For those not in the know, she is the winner of the third season of the show American Idol. After being attacked by a classmate in high school, she dropped out because of how classmates treated her. She would then go on to have a child with her boyfriend at the age of 17. Despite the tragedy in her life, things would eventually work out for her. After appearing on the hit reality show American Idol, she released I Believe, her debut album and it became number one on the Billboard Hot 100. She has returned to the show to sing and has been labeled “the mini Patti LaBelle” by her idol Patti LaBelle herself. VH1 has listed her at number 32 as one of the greatest women in music and she won a Grammy for best vocal performance by a female R&B singer. Unless you watch basketball reality television, Evelyn Lozada is arguably one of the least recognized names on this entire list. She is a television personality and model, starring in the VH1 series Basketball Wives. Evelyn was engaged to basketball star Antoine Walker and their relationship lasted from 1998 to 2008. She had her first child, a daughter, at the age of 17. She actually revealed this to the world on her Twitter page when she posted a picture of herself claiming she was a 17-year old mommy when it was taken. She married Chad Johnson in July 2014 and was divorced by September that same year, claiming domestic battery. She had a son in 2012 with then fiance’ Carl Crawford at a more appropriate age of 37. As far as her career goes, she has been involved in a number of reality TV programs. The latest ran for one season and was centered around herself and her grown daughter, Shaniece Hairston. 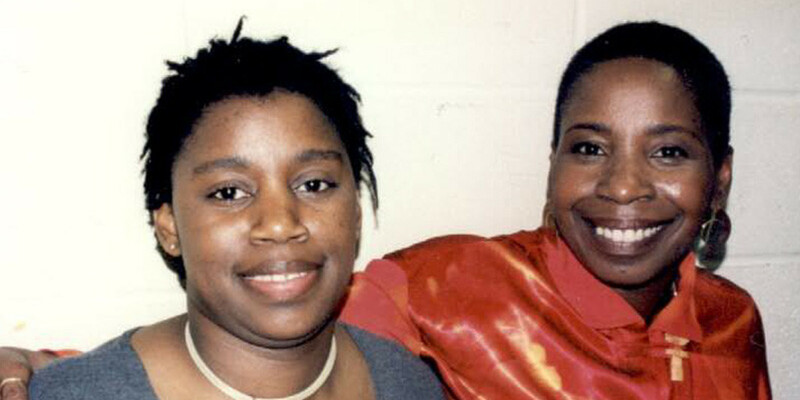 Iyanla is a television personality, author, life coach and spiritual teacher. Her name was given to her by the Yoruba people of Africa after she was initiated as a priestess. It means good mother. She had a difficult life with a father who was not around and her mother died when she was only 4-years old. She then lived with paternal relatives, one of which attacked her when she was only 9-years old. She became a mother for the first time when she was only 16-years old. Her first husband was physically abusive and she left him in 1980 and took her 3 children with her. She then went on a journey of self-discovery and healing, attending college and receiving a Juris Doctor degree. She is the star and host of a self-help program on the Oprah Winfrey Network called Iyanla: Fix My Life, where she offers advice to those who are going through difficult times. 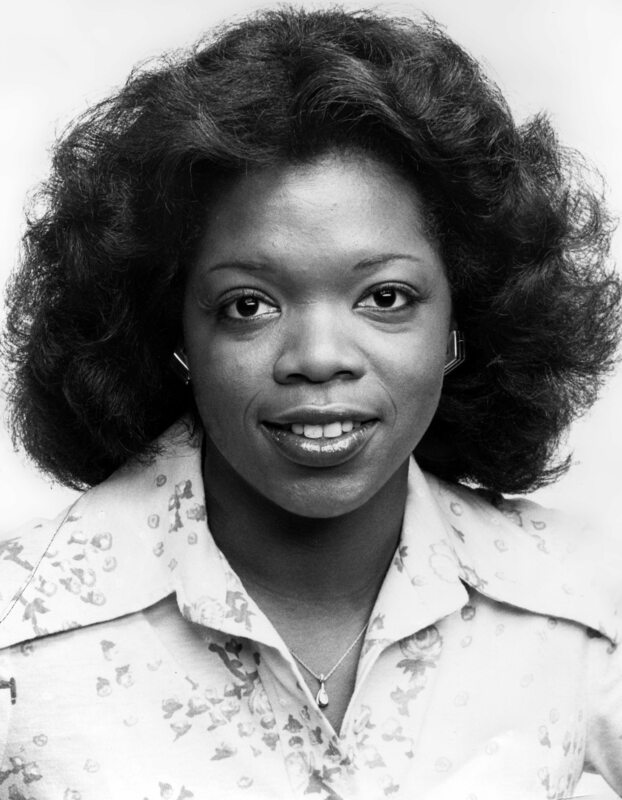 Speaking of Oprah, she too was a young mother. That revelation might cause more than a few people to scratch their heads knowing that Oprah doesn’t have any kids. Those people are correct. Oprah does not have any children, but she once did for a short time. Oprah did become pregnant at the age of 14. She was amazingly able to hide her pregnancy from her parents until she was seven months pregnant. Soon after that, she went into early labor. She had a baby boy that died two weeks later. This is far from the only tragic thing to happen in Oprah's young life. She was abused as a young child as well. 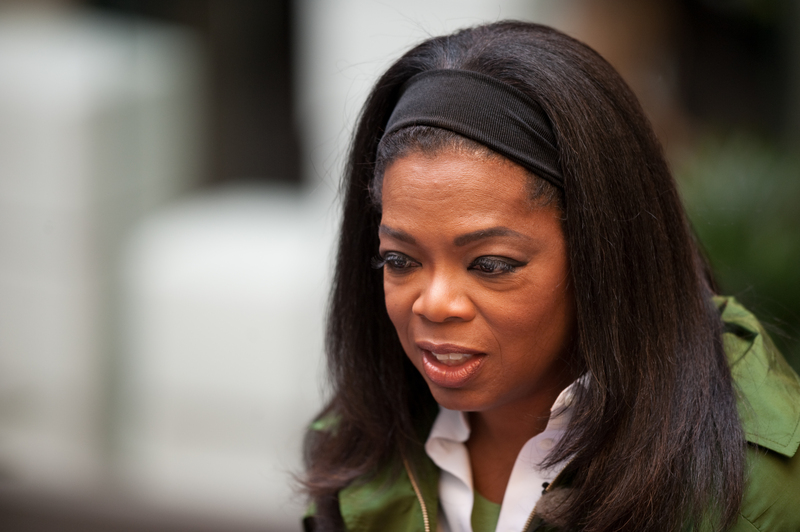 Of course, Oprah would make a good life for herself. She would later go on to have her own talk show and now her own television network. She is one of the most beloved people in the world with a status akin to that of Mother Teresa. One thing that all the women on this list so far have in common is that they became famous after becoming young mothers. The next few moms are famous for being young moms. To be more precise, they have appeared on the show 16 and Pregnant. To start with there is Jenelle Evans. Obviously, she was 16 and pregnant, but that seems to have not taught her a whole lot. In all, Evans has become pregnant three times by three different guys. It may sound judgemental, but it seems Evans is not exactly the classiest of women. Also by all a accounts, her taste in men is not the best either. She has since been locked in several custody battles over her kids. She is also no stranger to courtrooms. She is facing several criminal charges. She also seems to be somewhat prone to violence, which explains a lot of her run-ins with the law. 3 Amber Portwood - Lesson Learned? Aside from being 16 and pregnant and appearing on the show MTV reality shows 16 and Pregnant and Teen Mom, Amber’s behavior has shocked many with her partying, substance use, run-ins with the law, appearances in court, and general self-destructive ways. Rather than learn from the mistake of getting pregnant at 16 she made more bad decisions that eventually lead her to prison. She spent 17 months in prison for possession. To her credit, Portwood appears to have learned her lesson. She is now clean and sober. She has been working hard to reinvent herself, is going to college and plans to become a substance abuse counselor, though she has continued to remain in the public eye and appear in other reality-based programs. People continue to watch what she does and her relationship status is a matter of tabloid news. Having been in a long-term relationship and engagement, the couple called it off recently, but the two apparently are still friendly. 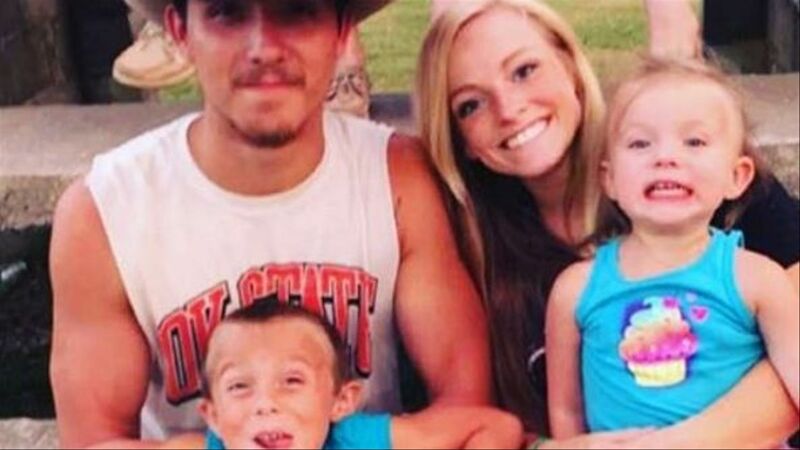 Once a promising high school cheerleader, Mackenzie became pregnant by her boyfriend, Josh McKee, when she was 16 and gave birth in September 2011. She and Josh were married in August 2013. They have since had two more children. Mackenzie became a member of the show 16 and Pregnant and started the show’s fourth season in March 2012. However, things have not been all sunshine and rainbows for her. The couple has had many ups and downs that were documented on the series, recently separating with each accusing the other of cheating. She denies cheating and claims to have only texted another man. She has also been accused of fostering drama in her life in a desperate attempt to remain relevant in pop culture. That means her allegations of her husband's cheating and such may just be an attempt to stretch out her 15 minutes of fame for just a little longer. 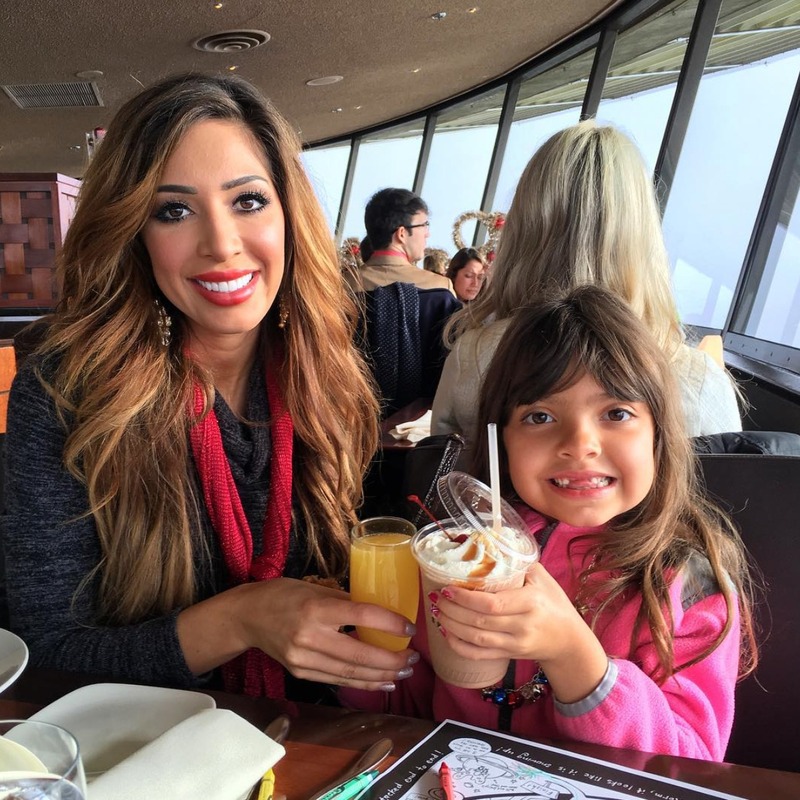 Another cheerleader, Farrah was one of the first girls to appear in the 16 and Pregnant show that first aired in June 2009. She subsequently went on to appear in all four seasons of the related reality show Teen Mom. 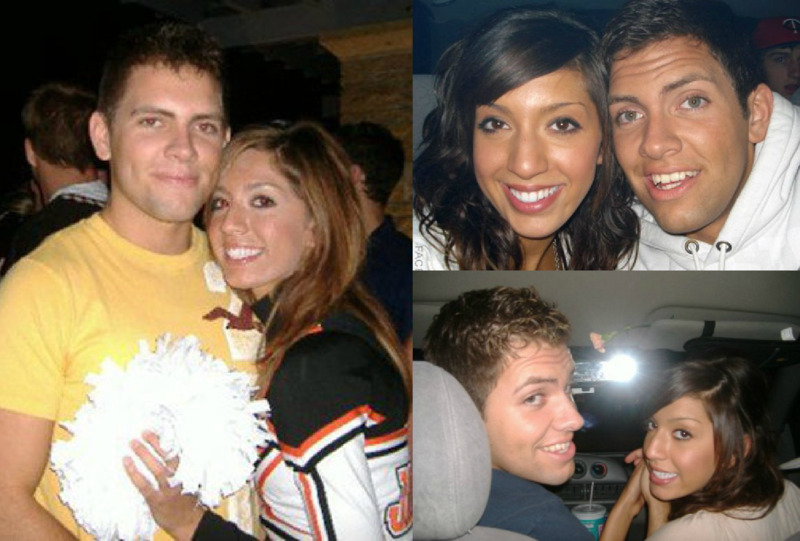 Farrah became pregnant with her high school boyfriend Derek Underwood. Derek tragically died in a car accident when Farrah was 8 months pregnant. However, she went on to finish college with an associate degree in culinary arts and management and has since produced a line of pasta sauce labeled Mom & Me. Farrah has dabbled in music and released an album that received mixed reviews. She has also continued to appear on television in more reality-based shows and released at least two adult tapes. In March of 2014, she signed a contract for a residency at Palazio’s Gentleman’s Club in Austin, Texas for over $540,000 that was to run through New Year’s Eve. So far she has managed to have only the one child.